Victoria which is primarily meant for joyride, according to the Court, does not fall in the category of "Public Conveyance" under the Bombay Public Act 1920. The petitioners pointed out the 44 carriages and 10 Stable with 158 Horses have been operating without obtaining a license. Moreover there is no provision in Bombay Public Conveyance Act, 1920 to grant licenses for horses/ponies used for joy rides. It was made clear in the Submissions by the respondents that approximately 700 persons are directly associated with the business as owners, attendants, drivers and stable boys. It is alleged that the livelihood of appropriately 700 families is depending upon the business relating to horses in the City of Bombay. An allegation was also raised against one of the petitioners who is into construction business has vested interest in the Ambedkar Nagar Slum Redevelopment Scheme where stables are maintained by the horse owners. Whereas an affidavit filed by Shri Dilip Vishnu Raut, Police Inspector, in charge of Public Land Conveyance Licence Branch at Bandra East, Mumbai states that operation of the victorias in the City is now restricted to only few areas. It is stated that the motor vehicles in Mumbai have been increased by 203% between 1991 to 2001. 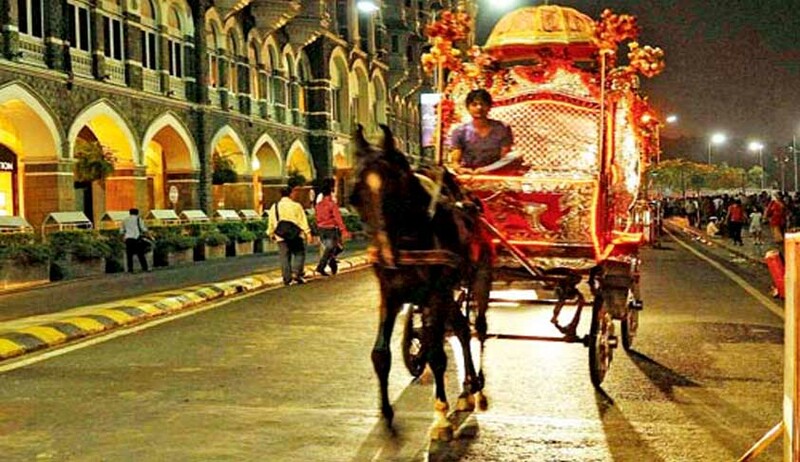 He has stated that the horse carriages in the City of Mumbai are hazardous to both people and animals. It is stated that the use of horse carriages in the city creates tremendous traffic congestion. The Court while disposing off the petition by ordering to close down all the stables in the city, directed the State Government to formulate the Schemes to rehabilitation of the affected group and place it on court records on or before 31st December 2015.